The appointment of a Special Envoy aims to strengthen ISC’s vision to advance science as a global public good. By building ISC’s identity and presence at the highest political levels, the Special Envoy will amplify the visibility and voice of the international scientific community within the UN and other global policy fora. With the rules-based international system developed in the last 70 years under pressure, the Governing Board of the International Science Council has identified a dedicated ISC presence within the UN system as a first step in strengthening contributions of the international scientific community and addressing some of the global challenges that exist in our rapidly changing geopolitical landscape. 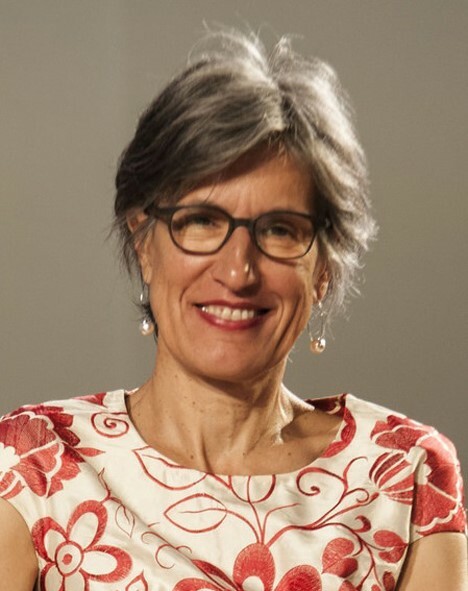 Dr Flavia Schlegel, who has had a distinguished international career which includes positions at UNESCO and as a Science Diplomat in Washington DC, USA and Shanghai, China, will take up her new position as Special Envoy for Science in Global Policy for the International Science Council on 1 April 2019. The appointment of a Special Envoy aims to strengthen ISC’s vision to advance science as a global public good. By building ISC’s identity and presence at the highest political levels, the Special Envoy will amplify the visibility and voice of the international scientific community within the UN and other global policy fora, such as the G20. One of Dr Schlegel’s key roles will be to build the ISC identity and presence within the UN family, including amongst Member State delegations. “Appointing Dr Schlegel as the Special Envoy for Science is the next step in securing effective pathways to policy for global science, and securing an effective interface and efficient mechanisms for robust science advice at the international level”, Dr Heide Hackman, CEO of the International Science Council said. Initiating and developing relationships with potential major funders to create opportunities for a long-term basis for fundraising and support. Before joining the ISC, Dr Schlegel was the Assistant Director General for UNESCO’s Natural Sciences sector. During her tenure, she oversaw UNESCO’s response to multilateral development agendas such as the Sustainable Development Goals, the Paris Agreement, the Sendai Framework on disaster risk reduction and the Samoa Pathway. Prior to her time at UNESCO, Dr Schlegel established Swissnex China – the Swiss house for science, technology, innovation, and culture in Shanghai – a trans-disciplinary institution supported by public and private funding. Dr Schlegel holds a Medical Doctorate and a Master’s Degree in Organizational Development. The Special Envoy will play an integral role in actioning the ISC’s White Paper on “Science in and for the United Nations” as part of the long-term vision of a coordinated, effective and independent science-policy interface at the global level which positions the ISC as the global go-to for scientific input, advice and influence within the UN System and beyond. ISC Members and the community can follow Dr Schlegel’s activities through her dedicated page.